While many of us love the idea of travelling to exotic places in South East Asia, how does an adventure in Thailand by Bicycle sound? Can you just picture yourself cycling through some of the most spectacular scenic terrain in a land so diverse that we simply cannot visualise the real beauty that actually exists beyond that of our own imagination? Well, what if all that could become a reality for you right now and at the same time have someone else take care of all the arrangements. It might not seem or sound like a luxurious holiday but a bicycle adventure is possibly one of the best ways to discover new sites you've never ever seen before. Also, isn't this a great way to meet other like-minded people who share the same interests as yourself? And isn't this also a great way to escape the hustle and bustle of city life? To answer your questions, I have partnered with a tour company that offers you a great many bicycle exploration options around Thailand. Below you'll find several guided tours in which to choose. And if you require any further information, please don't hesitate to contact me. 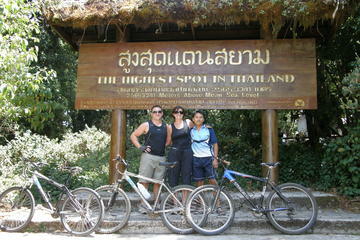 The Thailand by bicycle tours I have listed below will take you to the far corners of the country. 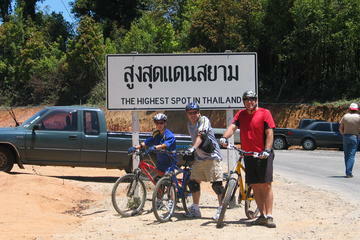 And just to give you some idea of where these bicycle tours go, there are several cycling adventures throughout Thailand. Some take in the history of central Thailand and include places of interest such as Kanchanaburi and Ayutthaya. 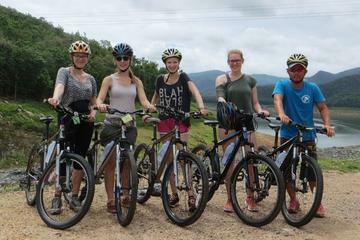 Other Thailand by bicycle tours take on Hua Hin in southern Thailand and Chiang Mai in northern Thailand as well as tours along the Gulf of Thailand. Many of these tours also cater for people of all ages. With that, I'd like to wish you all a very safe and pleasant bicycle ride. First up is a full day bicycle tour starting from your hotel at 8.30 am. Some of the places of interest you'll be visiting during this trip in Kanchanaburi is stop-over at the War Cemetery, the Thai Burma Railway Centre, the Bridge over the River Kwai and Khao Phun Cutting. The tour is suitable for all ages as it is set at a leisurely pace with no uphill climbs. Lunch is also provided on this expedition. 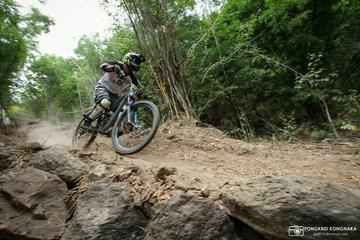 Spend a half day riding the best downhill trails around Hua Hin. We'll provide you with all the equipment needed to embark on this adrenaline-filled activity. Previous experience in mountain biking on steep terrain, downhill mountain biking or Enduro is needed for this one. Our driver will shuttle you up to the highest point overlooking the whole city of Hua Hin while our guide will make sure you make the best of your time on the bike. The trails are specifically downhill and have been prepared and shaped with berms and jump for this purpose to ensure maximum safety and maximum enjoyment. This is a great opportunity for you to spice up your stay while you're in Hua Hin. Come and join us as we'd love to take you on a Thailand by bicycle tour through the spectacular countryside and the historical city of Ayutthaya. It's got to be the most enjoyable way to explore this neck of the woods. 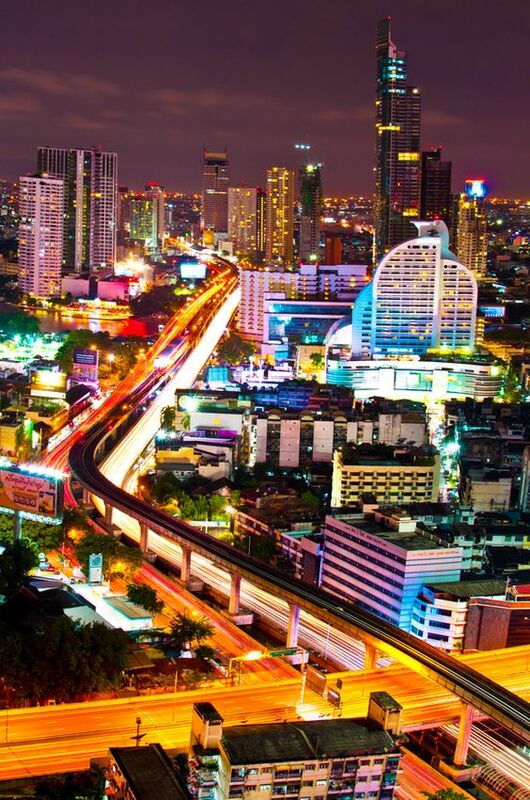 This once mighty city was founded in 1350 and became the second Siamese capital after Sukhothai. The colours of Ayutthaya is a bicycle tour that will take you off the beaten track and show you the real Ayutthaya. You'll find more details by clicking the link above. 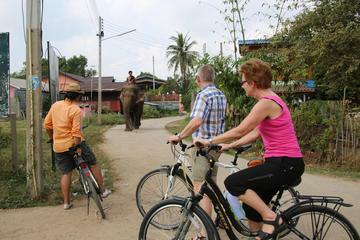 Here is another Thailand by bicycle half-day tour of Ayutthaya City. This cultural bicycle adventure is a must for every visitor who's ever wanted to visit Ayutthaya with limited time. We cycle around the ancient capital of Siam, through local communities and markets and stop over at the famous temples that make Ayutthaya a must-see destination. 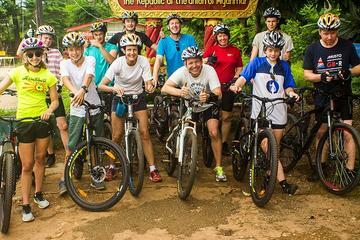 You are more than welcome to join us on a four-day Thailand by bicycle trip to experience one of our most popular mountain bike routes of great cycling. This is where you'll be cycling from the hills of Chiang Dao to the Maekok river valley. It's also where you'll get to ride one of our sturdy mountain bikes through some of the most stunning scenic areas with plenty of exciting trails and sights. You'll discover small villages along the way, including the ethnic hill tribes of Northern Thailand. With the full support of our dedicated staff and by travelling at your own pace, this trip is a true cycling adventure. Riding to the top of Thailand is not only a heck of a lot of fun but it's also an exhilarating challenge for those of you looking for a mountain bike adventure in one of Thailand's most beautiful national parks called Doi Inthanon. 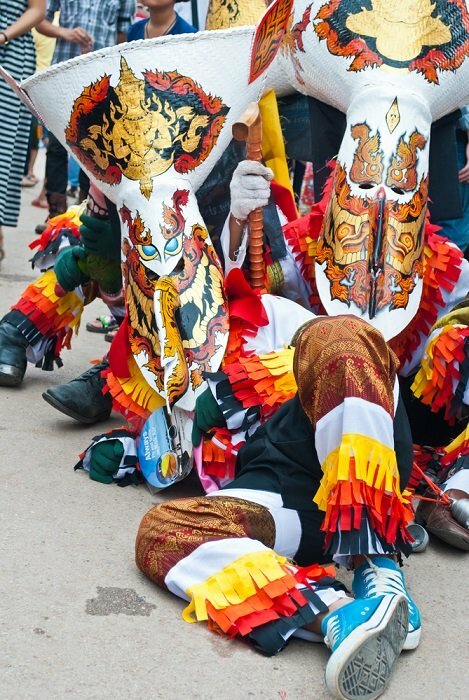 It's here where you'll get to visit some of the local markets as well as some beautiful and interesting cultural sites before tackling the steepest part of the mountain. You'll be literary climbing into the clouds until you reach the roof of Thailand and the summit of Inthanon. While this bicycle adventure lasts for 10 hours, it is not an overnight trip. For more details, please see the link above. This gentle 4-day cycling tour allows you to explore all the highlights of central Thailand, including the colourful Damnoen Saduak Floating Market, picturesque Kanchanaburi, the ancient capital of Ayutthaya and the stunning Bang Pa-In summer palace all in one trip. Here's your chance to leave the hustle and bustle of Bangkok far behind for a full-day bike tour along the Gulf of Thailand. You'll be travelling by train, ferry and bike from Bangkok to the coast, after which you'll explore the rural coastline by bicycle, all the while taking in the fresh ocean air. You'll also visit a mangrove forest, check out some wildlife, as well as a trip to the Maeklong Railway Market and refuel with a fresh seafood lunch. This tour has to be the one of the highlights in Thailand. It's also suitable for you if you are the adventurous type who enjoy a moderately challenging bike ride. This tour is limited to eight persons in order to provide you with a small-group experience. 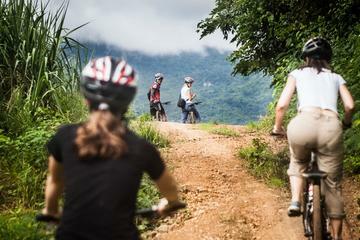 This Thailand by bicycle tour is a 25 kilometre downhill mountain bike ride from the highest point in Thailand (2,565-metre elevation) on a smooth tarmac road to the Mae Ping Valley floor (370-metre elevation). One of the best ways to see the Doi Inthanon National Park is by bike and with an 8,000 feet advantage. This three to four hour ride through the park with its beautiful waterfalls, lush forests summit chedis, is a lifetime experience. You're going to love this one. Spend the day on two wheels discovering rustic, village life. Explore a picturesque valley nestled within Mae Tang district 50 kilometres north of Chiang Mai city. 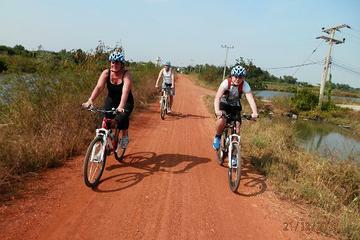 Pedal between rice paddies, various plantations, bamboo forests and through village neighbourhoods. You'll end the day with a visit to a spectacular temple, Wat Ban Den.